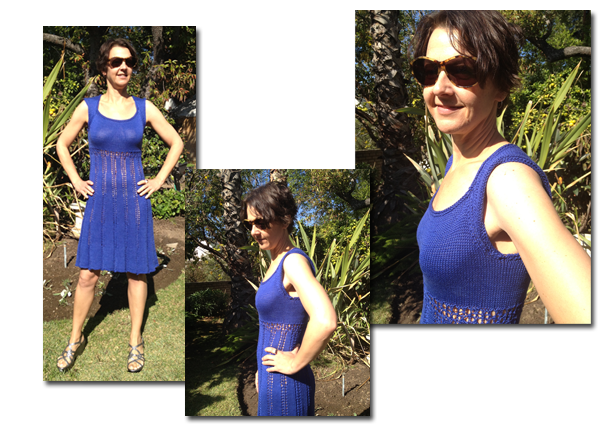 This one-of-a-kind beautiful dress, hand-knit by AHOB friend Cindy Curran, and modeled here by the lovely Gina Leibrecht, is scoop-necked, sleeveless, and knee-length. Oh, and there is only one in the entire universe. Made of high-quality cotton yarn, this is a great present for yourself or someone you love.